Dru Yoga and Meditation teacher training courses, tasters, workshops, retreats and therapies in the Midlands. Join us for empowering events that transform your life and help change our world. Hello, Joshna here. Born in a family of yogis, I grew up surrounded by a wealth of authentic, indigenous yogic wisdom. I trained as a nurse as well as in Ayurveda reflecting my passion for uniting eastern and western health philosophies. For the past 20 years, I've taught yoga in hospitals, schools, businesses and care homes, and stress management all over the UK, Canada and India. Now based in the Midlands and along with Ruth, Louise, Chris and the rest of the Dru Midlands team we invite you to come along to our classes and workshops and enjoy the many benefits Dru can bring you. You will always feel great when you do Dru! Many people appreciate Dru because anyone can do it, regardless of age, body shape or ability. Dru is a graceful and yet potent form of yoga, based on soft flowing movements, directed breathing and visualisation. It is deeply relaxing yet rejuvenating and it can take you to any level of fitness you’d like. We are here to help, so please contact us if you have any questions. 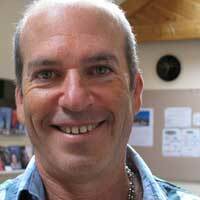 Dru specialises in integrating your body, mind and spirit. Dru uses classical yoga and meditation techniques to help you positively transform how you think, how to keep your emotions uplifted as well as how to revitalise your body. You will always feel great when you do Dru! Dru comes from the Sanskrit word 'dhruva', which refers to the stillness that can be experienced in Dru Yoga and Dru Meditation. In the stillness we are able to sit back from everything happening around us, and see and act from a point of clarity and inner calm. Our Dru teachers will help you to strengthen your body and calm your mind resulting in a happier, healthier you. Dru Yoga classes are renowned for their empowering, supportive and friendly atmosphere - and their fun! Dru aims to cater for all body types, from super fit to super-everything-else! And most importantly, it aims to give you a warm inner certainty that you are in charge of your life, your health and your world, along with a brilliant time relaxing, de-stressing and recharging. You can find Dru Yoga classes throughout the Midlands here. So whatever your age and ability, Dru Yoga and Meditation will suit you. Whether it is in a class situation or a private 1 to 1 session where you will have a session tailored to your own individual needs you will benefit. Using classical yoga postures, Energy Block Release sequences, Dru Yoga postures and sequences, breathing and meditation techniques and soothing relaxations we help you keep mind, body and soul healthy and in balance. Many of our classes are run at the Dru Midlands centre in Wolverhampton where Joshna, Ruth, Chris and Louise are waiting to meet you. Let us support you along your yoga journey.